Dr. Mary E. Franz, DO, has been warmly welcomed as “Best in Medicine” by the American Health Council in recognition of her contributions to the field of Geriatrics having amassed an impressive 26 years of experience. Dr. Franz was inspired to explore her healthcare career path further after realising the variety of options available within the field of medicine. Combining her interest in working with Diabetes and Hypertension patients, she was inspired to pursue a career as a Physician. Dr. Mary E. Franz began her the path to becoming a Physician by studying Family Practice, graduating with her D.O. from the Kansas City University of Medicine and Biosciences College in 1990. Dr. Franz also had the opportunity to complete her residency at the Doctors Hospital North and is proud to have received her KS State License from 1995 through 2019. 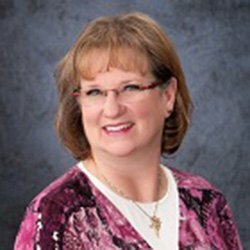 Dr. Franz has fulfilled her role as a Physician for 22 years working as part of St. Francis Family Medicine. Saint Francis Healthcare is member of Trinity Health, the second largest faith-based healthcare ministry in the United States. Trinity Health employs over 97,000, is in 22 states with 92 hospitals and 120 continuing care facilities, including 12 PACE center locations and 47 home care and hospice locations. Services offered include education, research and patient care. Displaying particular expertise in Geriatrics, Dr. Franz’s day-to-day responsibilities include family practice medicine, the treatment of patients from birth to death, and the treatment of Diabetes and Hypertension patients. As the recipient of several professional accolades, Dr. Franz was honoured to be presented with The Chief of Residency Award, the Fellow of American College of Practice and the VP Alumni Association Executive Board. In order to continually broaden her knowledge, Dr. Franz keeps an active membership at with a number of prestigious organisations including The ACCFP, The Osteopathic Association and The Kansas Association of Osteopathic Medicine. Looking back at her career to date, Dr. Franz attributes her success to her caring nature towards her patients and her ability to listen. In the future, Dr. Franz aspires to improve electronic health records as well as integrating her services across the country. Outside of work, Dr, Franz is proud of her family, being a mother to three wonderful children, Mary, Michael and William. Her interests include reading, singing in the local choir, partaking in community theatre and knitting. Dr. Franz dedicates her time to charity wherever possible, including the Kansas Association of Osteopathic Medicine and the Kansas Healthcare Association. Saint Francis Healthcare is member of Trinity Health, the second largest faith-based healthcare ministry in the United States.